Destin Fragile was created in 1993 by Pontus Stålberg as a project for electronic pop music. A great deal of songs were written and recorded, ending up on a couple of demo cassettes. In the mid 90´s Destin Fragile appeared on some compilation CD´s in Sweden but no album was yet to be released. After a few live gigs in Sweden with various band members Destin Fragile were joined in the late 90´s by Daniel Malmlöf and Stefan Nilsson for a couple of live shows in the home town of Örebro. At this point it was just for playing live. Since Pontus Stålberg and Stefan Nilsson formed the EBM-duo Spetsnaz, any plans for Destin Fragile were put on ice for a while but the band was not forgotten. After being around with Spetsnaz for some years, ideas for an electronic pop band and an album with Destin Fragile came up. Daniel Malmlöf was contacted and there were still interest for doing something with the band. So now at the end of the journey towards the debut album Halfway to Nowhere we can all finally enjoy it! From EBM to synthpop we will now hear Pontus Stålberg sing and Stefan Nilsson together with Daniel Malmlöf play keyboards. 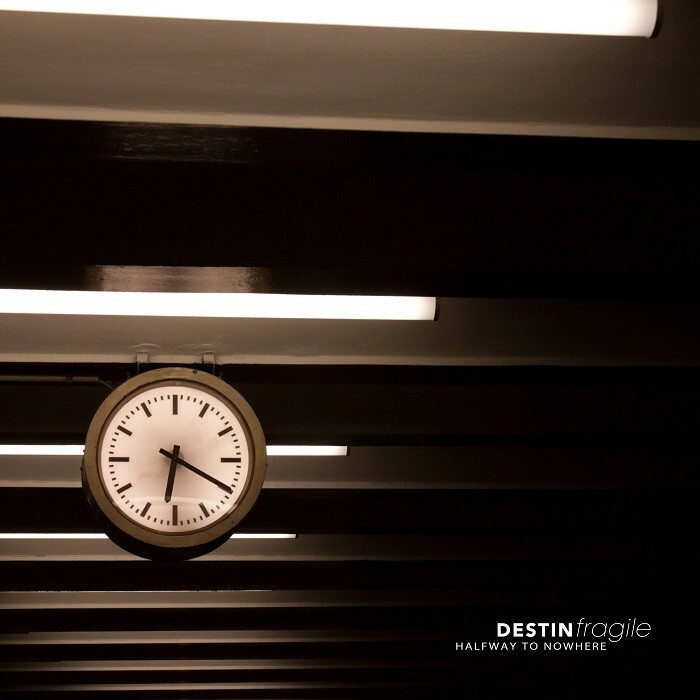 Destin Fragile is here with their debut album Halfway to Nowhere. Electronic pop from Sweden with band members Pontus Stålberg, Daniel Malmlöf and Stefan Nilsson. Pontus Stålberg and Stefan Nilsson we know before from the EBM band Spetsnaz that has up to now released four albums. With their old friend Daniel Malmlöf they've now joined forces to create electronic pop music. The album Halfway to Nowhere contains ten new written tracks recorded under a two year process. Finally we can now announce the release of the debut album on the 8th of May 2015.